With 3 vessel sizes and 2 departure locations, there is sure to be a vessel that suites your needs. 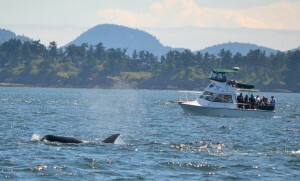 You can also charter any of the vessels for a private Whale Watch and Wildlife Tour or schedule a water taxi to one of the surrounding islands. 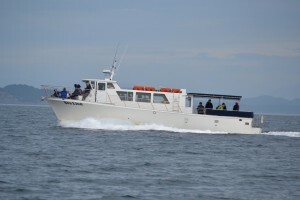 The Sea Lion is approved for 49 passengers, but we only take out 40 to ensure lots of viewing space. Built in 2007 specifically for wildlife viewing off the San Juan Islands, she is the newest large vessel in the San Juan Islands. Sea Lion is modern, fast and comfortable. It has a large walk around deck, outside covered seating, inside cabin seating with big windows, bow seating and open seating on the stern. There is a large bathroom for convenience. There is also a children’s library and a wildlife library on board as well as high grade binoculars for our guests. 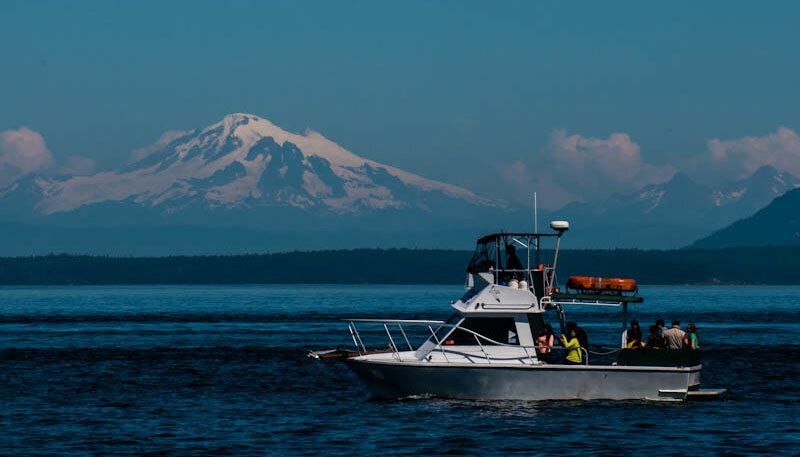 The M/V Kestrel is a RIB (ridged inflatable) style vessel that cruises waters around San Juan Island at an impressive 35 knots and is unlike any other on San Juan Island! The longer length and heavier hull gives a smooth and steady ride, even at high speeds. The Kestrel was built in 2015 and is an open air vessel with bench seating for up to 28 passengers per the US Coast Guard. To make sure there is plenty of seat space, the Kestrel never goes out with more than 22 passengers on a public tour. 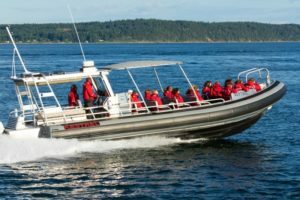 Guests remain seated on one of the comfortable bench seats while in motion, but a wide aisle way around the entire boat allows you to stand up and move around when viewing whales and wildlife. Kestrel also has the convenience of having a restroom on board. The Seahawk is approved for 28 passengers, but we only take out 24 to ensure lots of viewing space. 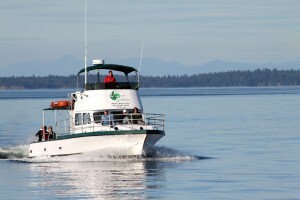 The Seahawk is one of only 2 wood vessels in the San Juan Islands and has lots of charm. She has a large walk around deck, outside covered seating, inside cabin seating with windows, bow seating and open seating on the stern. There is a bathroom for convenience. There is also a children’s library and a wildlife library on board as well as high grade binoculars for our guests. The Kittiwake is approved for 18 passengers, but we only take out 12 to ensure lots of viewing space. The Kittiwake has a covered area with seating and a great low viewing deck at the stern. There is a bathroom for convenience. There is also a wildlife library on board as well as high grade binoculars for our guests.The Kittiwake is our “adult only” boat and does not take persons under the age of 12.